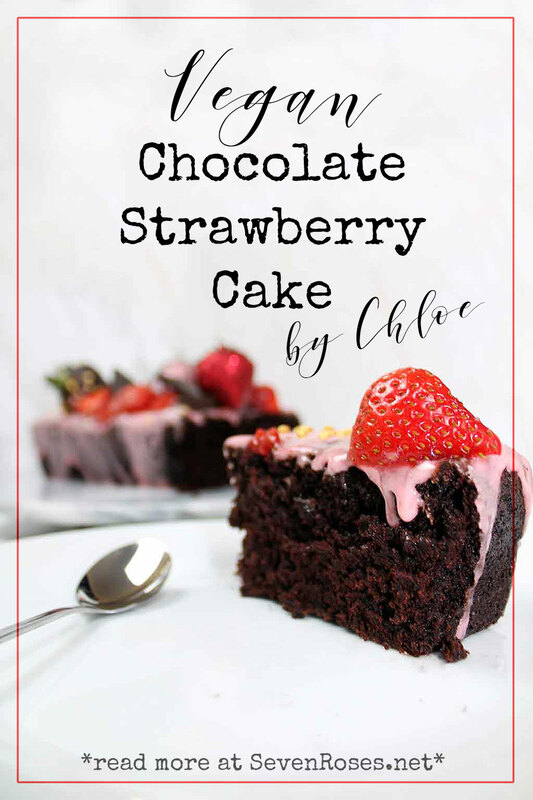 This chocolate strawberry cake recipe is quick and easy, and makes a beautiful Valentine’s day dessert! If there’s one way I like to show (and receive) love, it’s through food. Particularly dessert. When any occasion that involves gift-giving comes around, I’ve got my baking equipment at the ready. And Valentine’s day is no different. I’ve never been one to spend lots of money on gifts. That may be partly because I’m a huge cheapskate… But it’s also because I truly believe you don’t need tonnes of money or material items to show how much you care about someone. Edible gifts are a much more meaningful (and cheaper) way to spread the love. 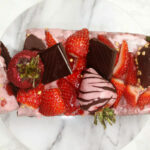 That’s why I’m sharing this Vegan chocolate strawberry cake recipe. It looks impressive, but it’s actually pretty easy to make, and you can decorate it any way you like! And don’t get caught up in that trap by thinking Valentine’s is just for those in a relationship. If you don’t have a significant other to bake for, how about your friends or family? Or, better yet- treat yo’self! There’s no better time to practice self-love than Valentine’s. I adapted this recipe from the basic cake recipe I’ve been using ever since I learned how to bake vegan treats. I made only a slight tweak by substituting some flour for cocoa powder. It’s a simple and straightforward recipe, and all the ingredients are relatively cheap too. That’s what I love most about it! I used to think this sounded complicated, but it really isn’t! All you need to do is mix a few tablespoons of ground flax seeds with some water. Left to sit for a while, this will turn into a thick mixture. The flax eggs act as a replacement for traditional eggs and will help to bind the rest of the cake ingredients together. The next crucial step to making this vegan chocolate strawberry cake is to “cream” the butter and sugar. You want to make sure you do this long enough so it turns a very pale color and has a fluffy texture. It’s super important that you don’t rush this step. If you don’t beat the sugar and butter long enough, you’ll end up with a chewy, crispy cake. Not good! 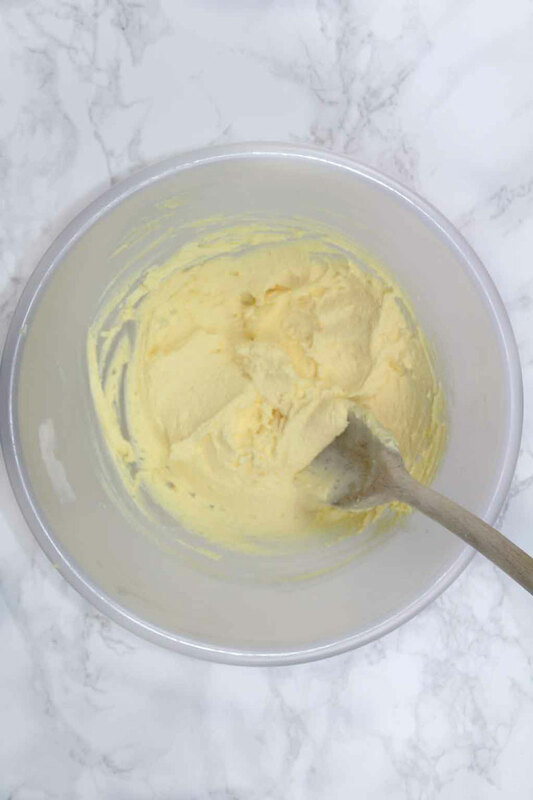 After the first two steps, you can literally just throw the rest of the cake ingredients in the bowl and mix. Told you it was easy! You should end up with a smooth, slightly runny chocolate cake mix. 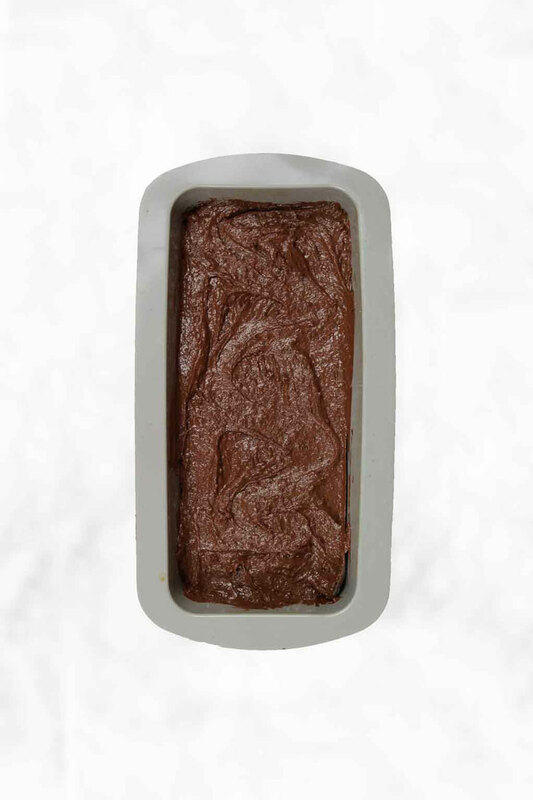 Pour the cake mixture into a lined loaf pan and bake until a skewer comes out clean. Then, transfer the cake onto a wire rack to cool completely. This is my favorite part about baking because you have the chance to add your own creative ideas to the cake. First, you make the strawberry frosting. Once you’ve frosted the cake, you can add whatever you like on top. 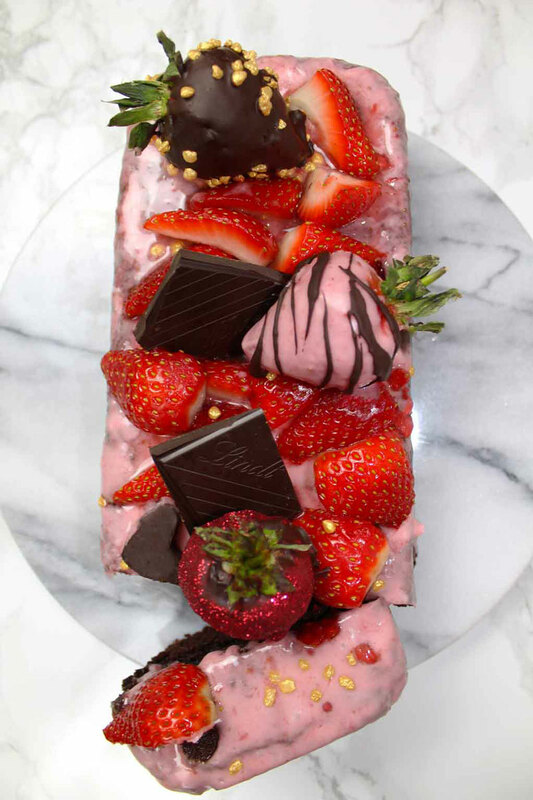 I used fresh strawberries, gold sugar crystals, and squares of dark chocolate. I even added some homemade chocolate covered strawberries which completed the look beautifully! 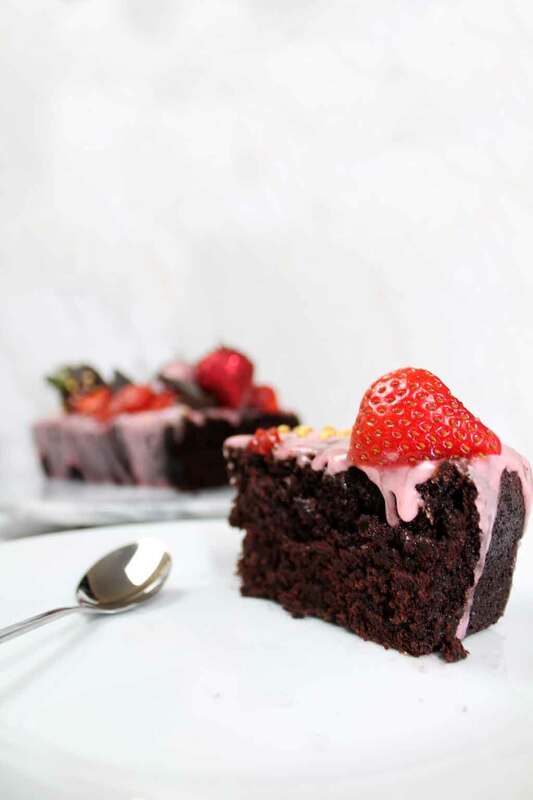 So, whether you’re celebrating Valentine’s, Palentine’s or Singles Awareness, make sure that this vegan chocolate strawberry cake is part of your day! Preheat oven to 180C / 350F and line a 1lb loaf tin. Make your flax “egg” by mixing the flax seeds and water together. Set aside to thicken. In the meantime, beat together the butter and sugar until pale and fluffy. Add in the rest of the ingredients, including the flax egg, and combine until smooth. Transfer the mixture into the loaf tin and bake for 1 hour or until a skewer comes out clean. Leave the cake to cool slightly then transfer onto a wire rack. Prepare the frosting by mixing the strawberry puree and powdered sugar together. Pour over the cooled cake. (optional) Add more strawberries, chocolate chunks and any other desired decorations on top. You can store this Vegan Chocolate Strawberry Cake in an airtight container in the fridge for up to 3 days. 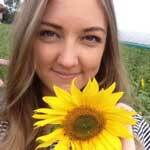 Chloe is a self-taught baker from Scotland, specializing in easy vegan desserts. When she’s not in the kitchen, she enjoys writing, traveling and keeping fit. A big thank you to the lovely Chloe for this amazing recipe that she shared with us just in time for Valentine’s Day! I for sure will be making this delicious Chocolate Strawberry Cake. What about you? I love chocolate and strawberries, and that cake looks amazing. Also great image. Regarding the flax seeds, you don’t have to grind them before soaking? Marcus recently posted…Theragun Vs Jigsaw – Is The DIY solution comparable? Oh yeah. Totally didn’t see that “ground” at all. Must have been the cake stealing my attention haha.